At one time, the Intel Tick-Tock process and the strategy of alternately upgrading the architecture every year made a great miracle in the semiconductor industry, 32nm, 22nm, 14nm all the way down to achieve success, but in the 10nm process, Intel has encountered unprecedented difficulties. 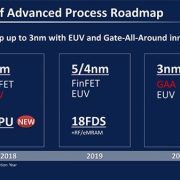 Unexpectedly, the Intel 14nm process has used five generations of products, from the fifth generation of the Broadwell to the nine generations of Core Lake (R), the process itself has evolved to 14nm++. In fact, Intel’s original first-generation 10nm process client product is ” Cannon Lake “, but it has not been in mass production. It only launched a product in a very low-key manner last year. The low-power mobile version is Core i3-8121U. It still belongs to the eight-generation Core family, dual-core four-threaded, clocked at 2.2-3.2GHz, 3MB cache 4MB, thermal design power consumption 15W, but no core graphics, it is probably because of 10nm process to reduce the cost of the product. Ice Lake is different, it will cover the entire client market from high to low, with the same product family, bringing “Incredible Performance”. According to Intel’s published information, Ice Lake will not only apply the 10nm process but also adopt the new micro-architecture “Sunny Cove”, which aims to improve performance and energy efficiency, support general-purpose computing and dedicated tasks such as AI artificial intelligence, encryption and networking. In Core processors, Sunny Cove will provide new integration features to accelerate AI workloads, more security features, and significantly improve parallelism to enhance the gaming and media application experience. 1. A new algorithm that reduces latency is used. 2. Enhanced micro-architecture can perform more operations in parallel. 3. Increase the size of critical buffers and caches to optimize data-centric workloads. 4. Architecture extensions for specific use cases and algorithms. Added new instruction sets for cryptographic performance, such as vector AES and SHA-NI (7-ZIP compression-decompression performance can be increased by 75%). 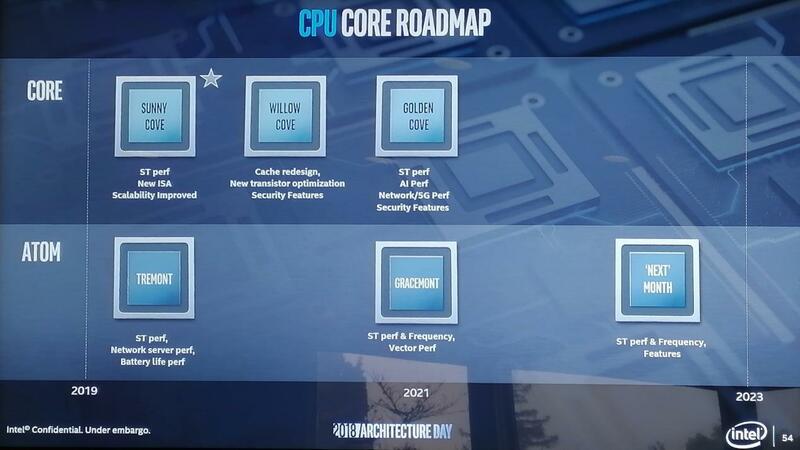 After Sunny Cove, Intel also has a series of new architectures such as Willow Cove and Golden Cove. In 2020 and 2021, there are many new tricks. At the same time, in terms of GPU core graphics, Intel has rushed a number of high-level talents and is also rapidly speeding up. 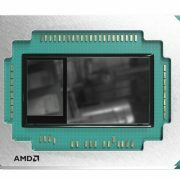 Ice Lake will integrate the 11th generation of core graphics cards (currently the 9th/9.5th generation and the 10th generation has been crossed). Intel said that the 11th generation is designed to improve the playability of the game, and support Adaptive-Sync adaptive synchronization technology to ensure that the game frame rate, the picture is more stable, while running some common consumer reasoning applications is expected to improve the AI performance. Multiply and use advanced media encoders and decoders to create 4K video streams and 8K content at low power. It is also worth mentioning that the Ice Lake platform will also support Thunder 3 and Wi-Fi 6 for the first time. Thunderbolt 3 has never been said to be a standard in today’s mid- to high-end notebooks. 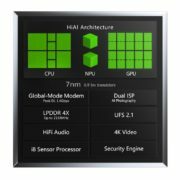 Once integrated directly into the processor, it will no longer require a separate controller, which further streamlines notebook space, reduces power consumption, and extends battery life. Wi-Fi 6 is also 802.11ax, the official version of the specification will be released this year, supporting a series of new technology and new features such as uplink and downlink OFDMA, uplink MU-MIMO, 1024-QAM, etc., on the basis of backward compatibility, not only higher rate Performance stability of dense users, outdoor scenes, etc. will also be better. 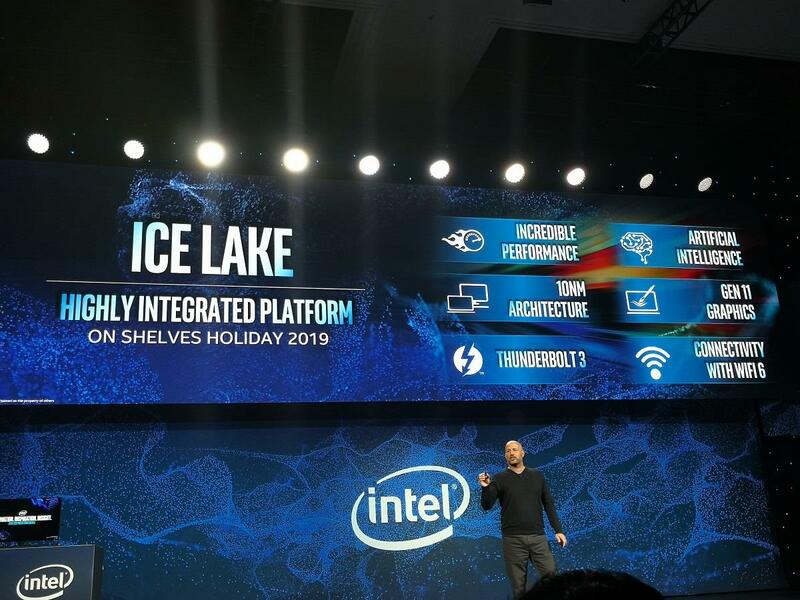 The 10nm Ice Lake processor and its PC-based products will be available in the holiday season at the end of 2019, and at the CES 2019 show, Intel also showed the real version of the mobile Ice Lake processor, and related notebooks. Obviously, Ice Lake will follow the usual practice, starting with the mobile platform and then going to the desktop platform. 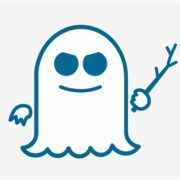 The release of 10nm Ice Lake will completely reverse Intel’s embarrassing situation in the past two years, from technology to products, from market to strategy, all entering a new era. It can be said that after crossing this hurdle, Intel will re-enter a road. According to Intel, the yield level of the 10nm process has been satisfactory and will continue to improve, and the subsequent 7nm process will be smoother based on a series of advanced technologies harvested during the 10nm process development process. At the same time, Intel reversed its acting style, looked forward to various future visions and beautiful blueprints, refocused on technology and products, and laid a more solid foundation. On the other hand, it proposed process technology, architecture, storage, and ultra-fine mutual. The six strategic pillars of Lian, security and software guide the future development.